We all have good months and bad months so sometimes it’s necessary to look at the bigger picture and see how well the year is going so far. The line on this chart represents your budget for the cumulative year-to-date figures each month – so this is where you should be tracking. The bars represent the year-to-date actuals each month. 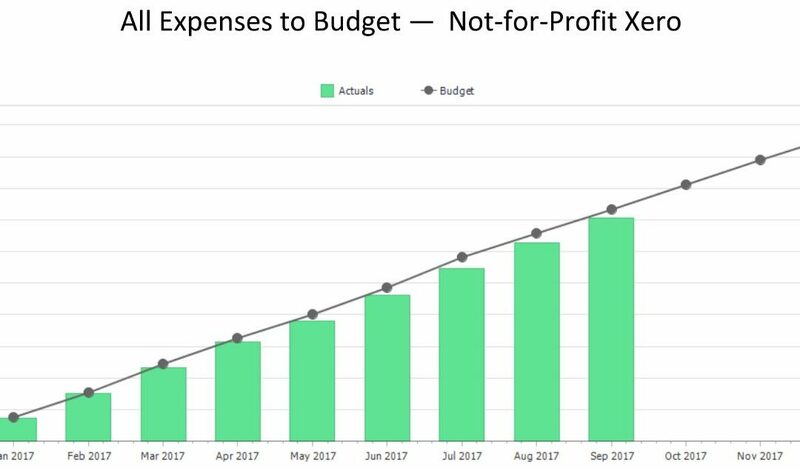 For a chart showing Expenses, you generally want to see the bars below the line – expenses less than the budget. Having said that, all budgets are just guides. They’re your business plan in numbers. You should never cut costs just to stay within a budget. There are many reasons for cutting costs, including some very good ones, but the budget itself, on its own, isn’t one of them. The plan behind the budget may provide good justification for cutting costs but make sure you understand that plan and what it’s intended to achieve before cutting blindly! Sometimes your costs are increasing because you’re doing more business. To sell more, you often need to spend more. While it’s important to manage your expenses carefully in any business, don’t lose sight of the big picture. Are you spending more because you’re selling more and making more profit? Are you spending now so you will make more profit next month or next year? Timing can be tricky for cashflow but it can be managed. You Want More Than One?